Disney is always a hit in our house and Worlds Apart have a fabulous range of wall vinyls to decorate children’s bedrooms including clocks, night lights, doorbells, wall hooks and light switch stickers. 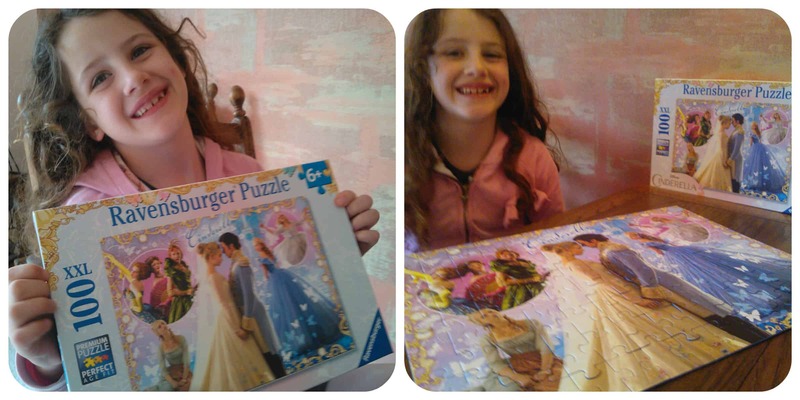 My children were lucky to get to try out the Disney Planes Lumiglow and the Disney Princess Tick Tock clock. Mister B has recently been asking for a light on at night and the Disney Planes Lumiglow seemed like the perfect option. A light that he could make come on by himself and give a soft glow in his bedroom, but goes off again after two minutes. 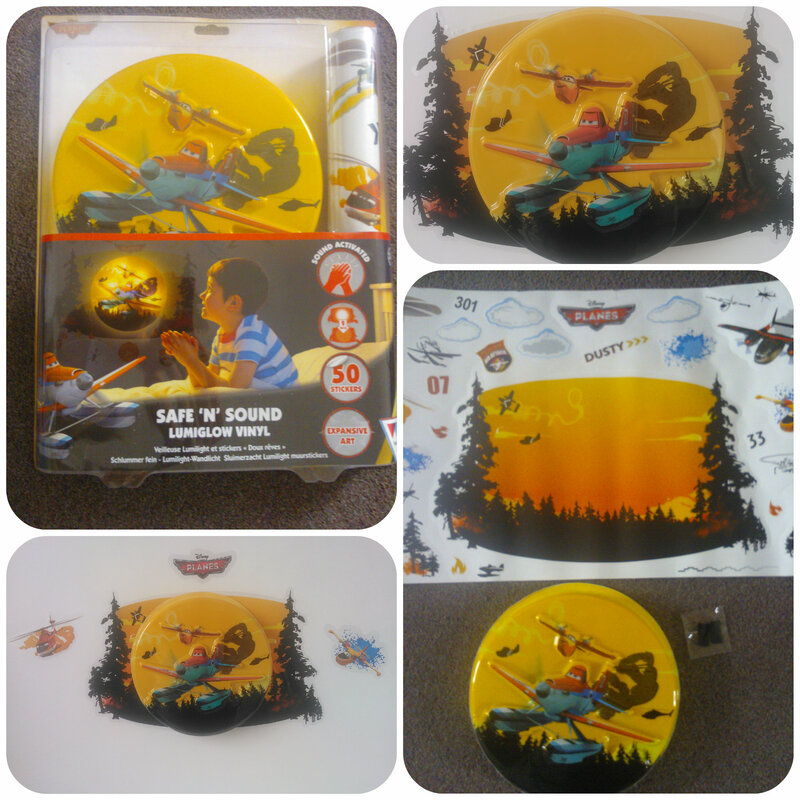 The Disney Planes light comes with 50 wall stickers to create a scene around the light. 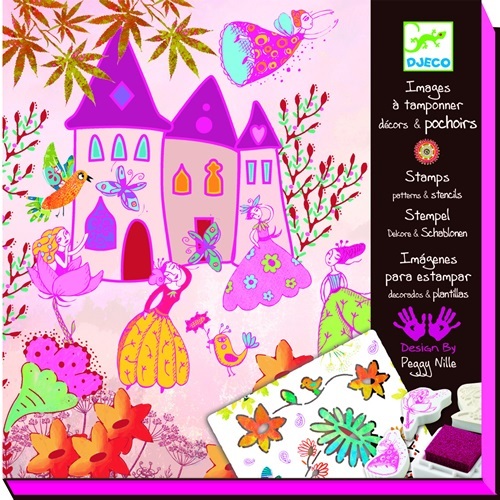 There is a large background sticker to use as the backdrop for the light and other smaller stickers to decorate as you wish. The light requires 3 AA batteries to work which are easily put in the back of the nightlight. The light also cleverly sticks to the wall using velcro sticky pads, meaning you can easily take the light off to change the batteries. The stickers are of a good quality and stick easily and well to to the wall, although you can peel off and re stick should you need to. Mister B decided he only wanted a few plane stickers around the light and the others have been dotted across his bedroom! The light is very easy to activate requiring a simple clap, loud voice or other noise. You can also touch it lightly and it comes on. Mister B loves his new night light and has shown every visitor to our house his special light. 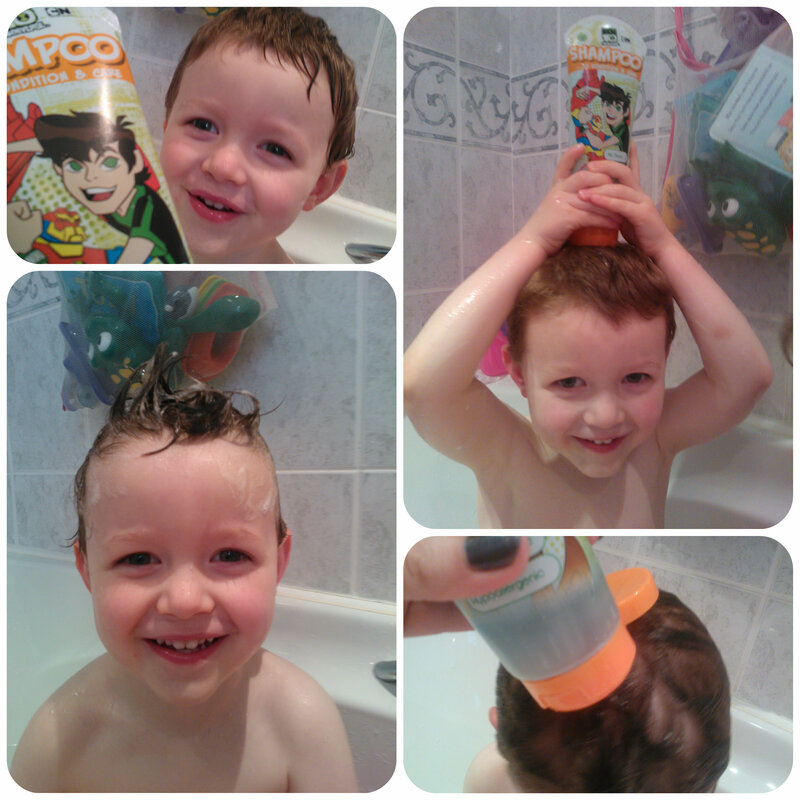 He loves being able to switch it on like magic and it’s been a great incentive to get him up to bed at night. It gives a really soft, gentle glow which is great as it allows him to drop off to sleep with the knowledge that it will switch itself off after two minutes! The Disney Princess Wall Clock from Worlds Apart has been a huge hit with Miss M who is currently learning how to tell the time. 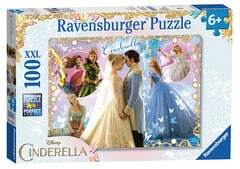 It comes with 50 accessory stickers to decorate the wall, creating a pretty fairytale scene. 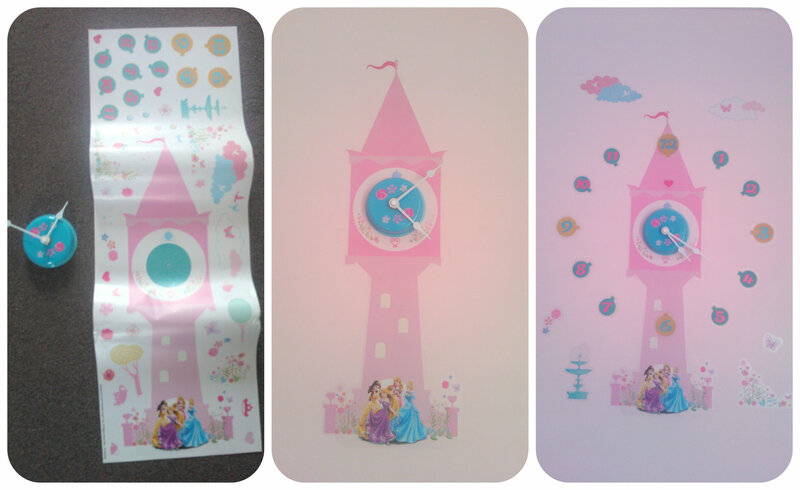 The main sticker is a fairytale castle tower with princesses at the bottom that forms the backdrop to the clock. The clock requires 1 AA battery and can then be stuck to the tower using velcro sticky pads for easy removal. The scene stickers include clouds, hearts, flowers, trees, butterflies and more. There are also the 12 number stickers that enable you to tell the time, these even glow in the dark which Miss M loves. 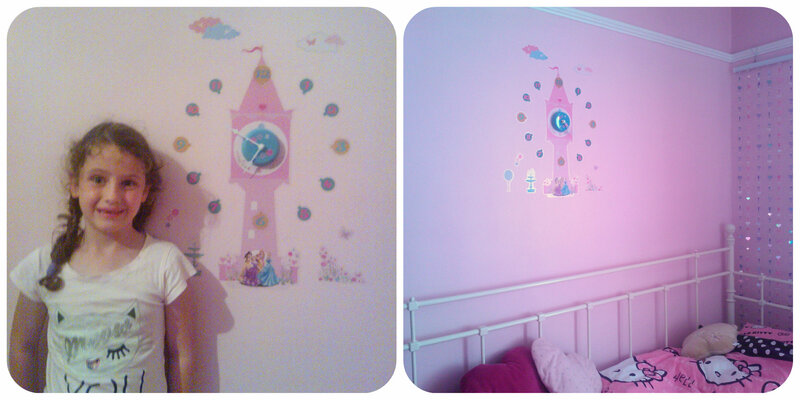 The size of this clock on the wall along with all the stickers really does make this a feature on the wall rather than just a clock, brightening up any young girls room. Miss M has this clock on the wall to the side of her bed and loves being able to look up at the time in the morning, she just about knows her half and quarter pasts, so we are now trying to learn the rest. I think both of these vinyl wall products from Worlds Apart are lovely, being both wall decoration but also functional with the clock and the light. 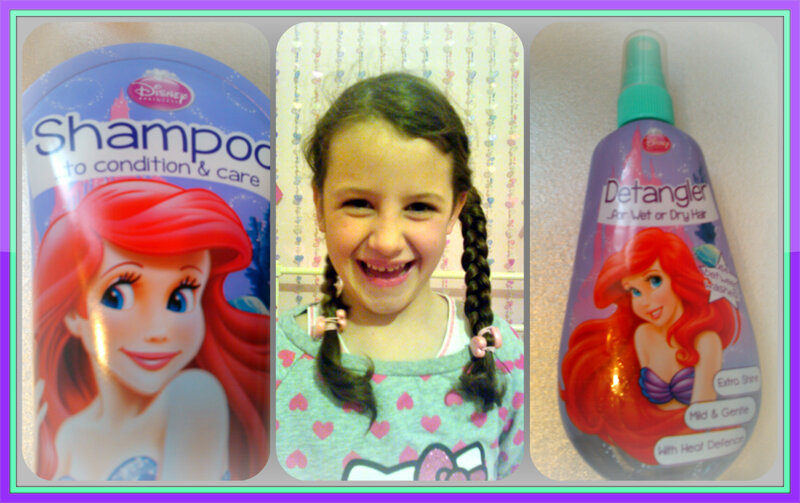 They look good, the children love them, and so I definitely recommend them! 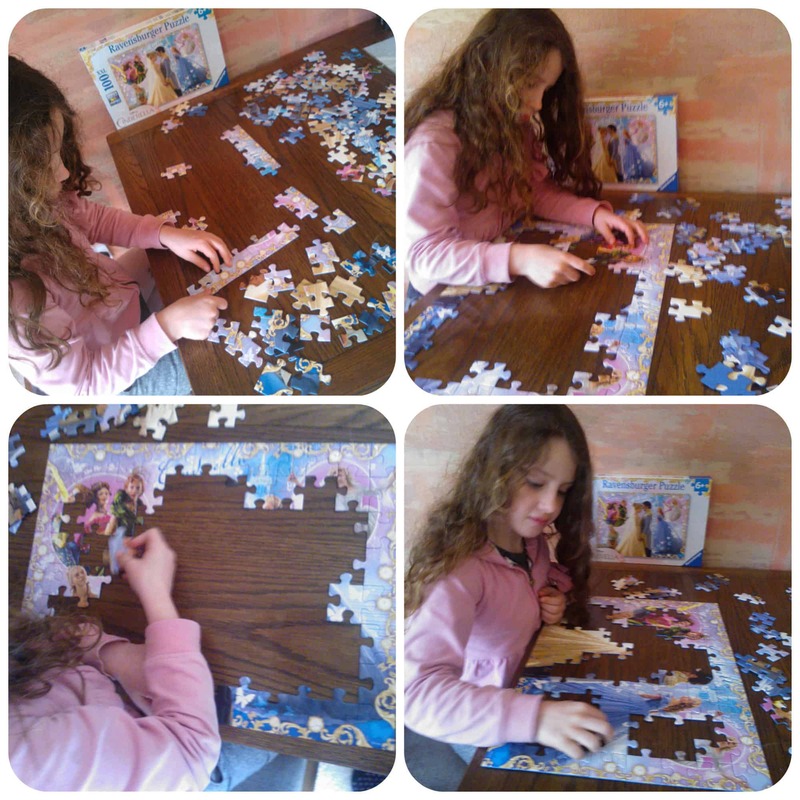 All reviews are my own and my family’s opinions and we received the wall sets in order to write the review. Kid’s T-shirts are a t-shirt printing company that produce a vast array of designs under many different themes from animals to sports, halloween to world book day. We were asked to choose a t-shirt from their costume section which includes a range of designs that children aspire to be when they grown up. Some of the designs include an astronaut, policeman, chef, knight, wizard, doctor, firefighter and nurse. 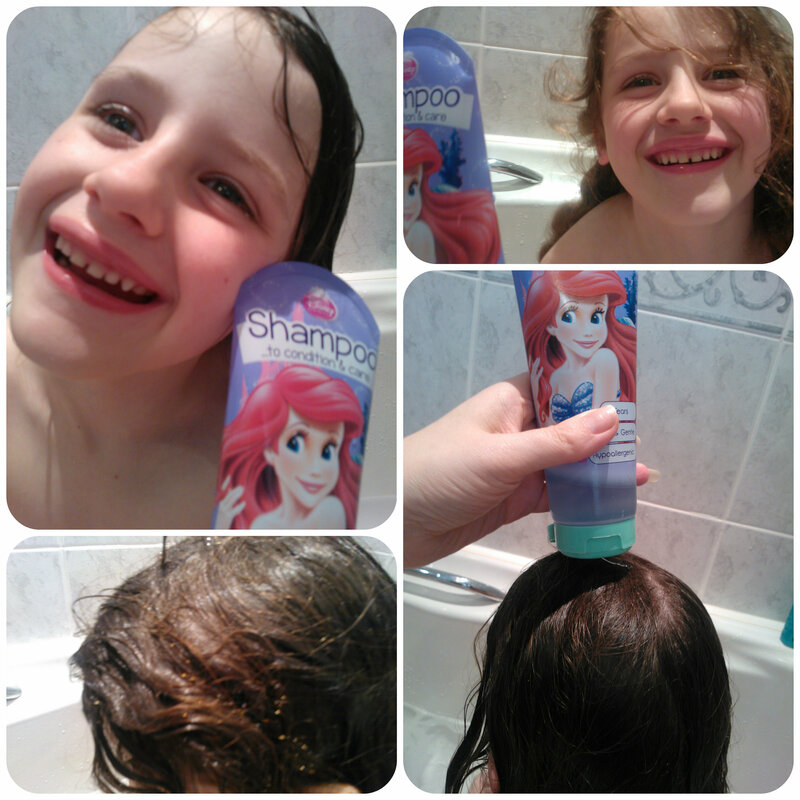 I asked my children to have a look through and see what they wanted to be. Mister B who is 3 would love to win a gold medal, we are not sure what in yet but it’s something he aspires to own so he picked the gold medal t-shirt. Miss M on the other hand aspires to be a policeman like her daddy although she wasn’t so keen on a black/yellow t-shirt so decided she wants to be a princess for now. The t-shirts are generously sized with plenty of room to move around and play in. I thought the choice was good and depending on the design of the t-shirt you could choose what colour background you wanted. 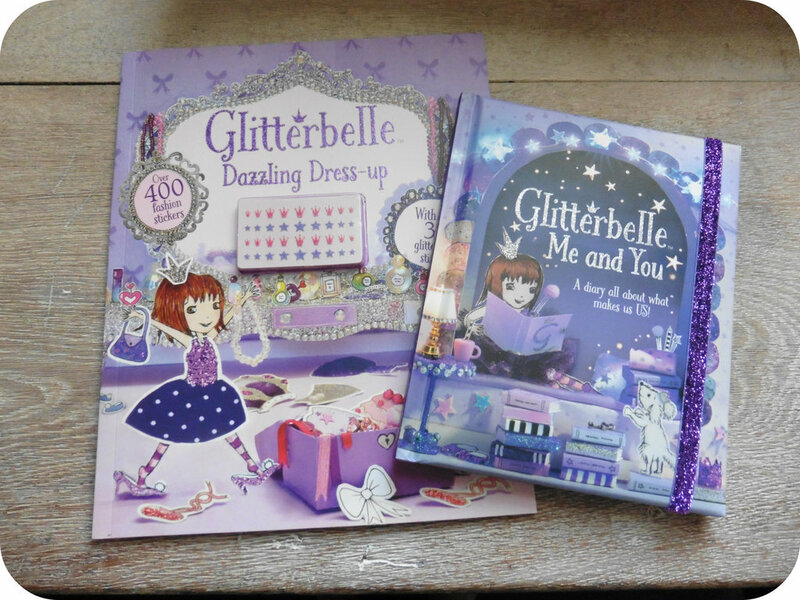 Both my children loved them and happily wanted to wear them again and again. I think it’s good for children to start thinking about all the roles and opportunities available to them when they are older, even if it’s just for a bit of fun. 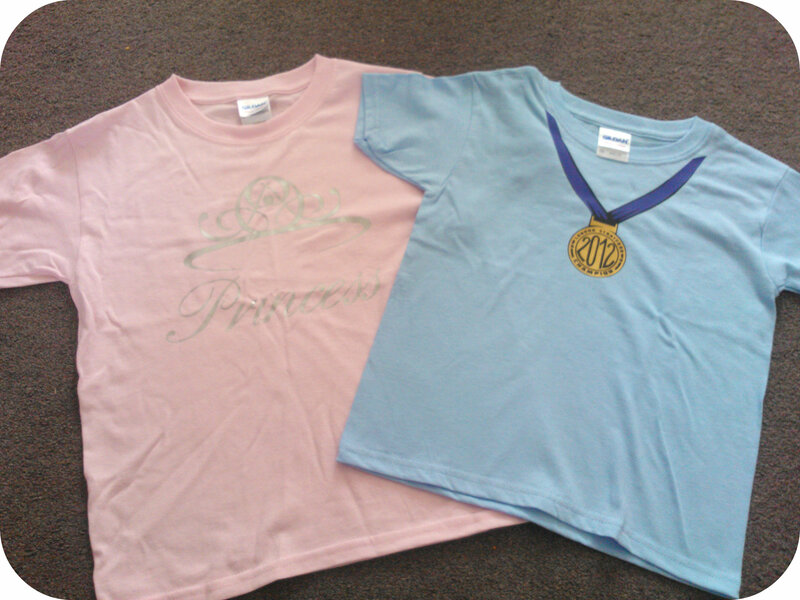 These t-shirts are great to wear everyday but also can be used as part of a dress up outfit. It also encourages conversation on the topic of the t-shirt. For Mister B we discussed medals and the different colours, which one is first, second, third and the sorts of events you can win them in. 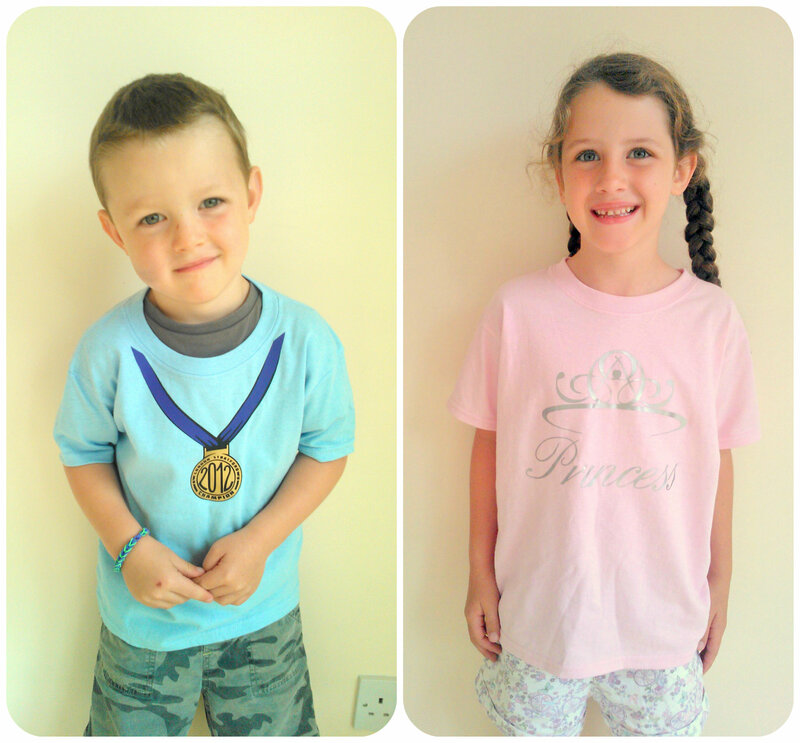 Why not check out the Kid’s T-shirts website and find a fun t-shirt for your child to wear? 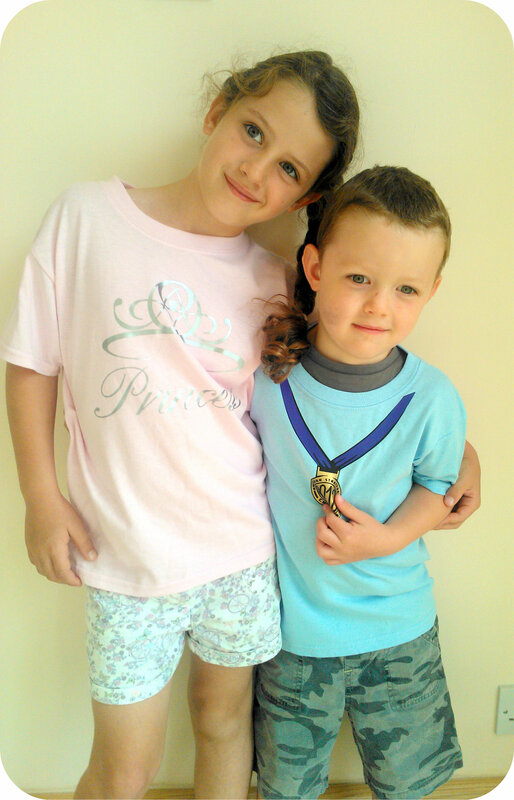 All reviews are my own and my family’s opinions and we received the t-shirts in order to write the review. 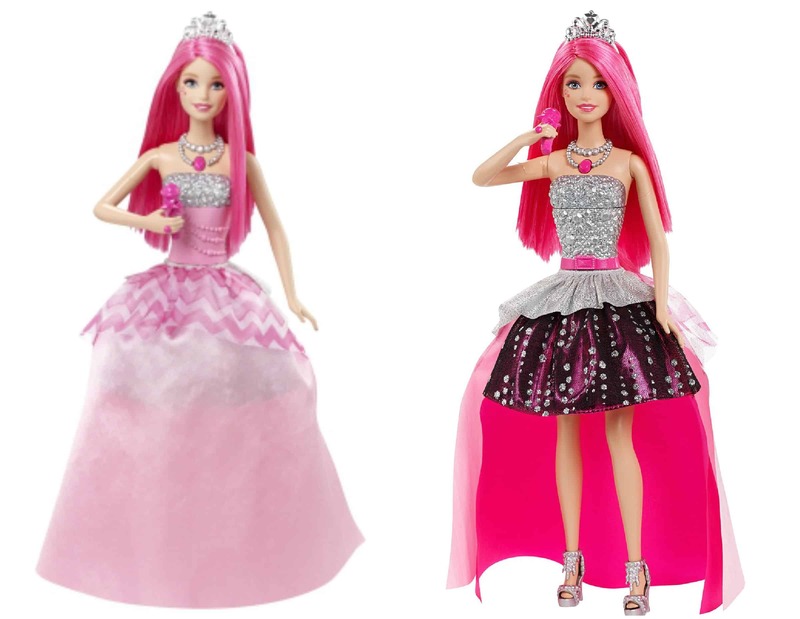 Princess Alexa is a newly released Barbie doll along with a range of other Barbie toys, especially for the soon to be released film, Barbie and the Secret Door. The film follows Princess Alexa, a shy princess but during the film she discovers a whole new fairy tale world and along with two magical friends helps to save the kingdom. 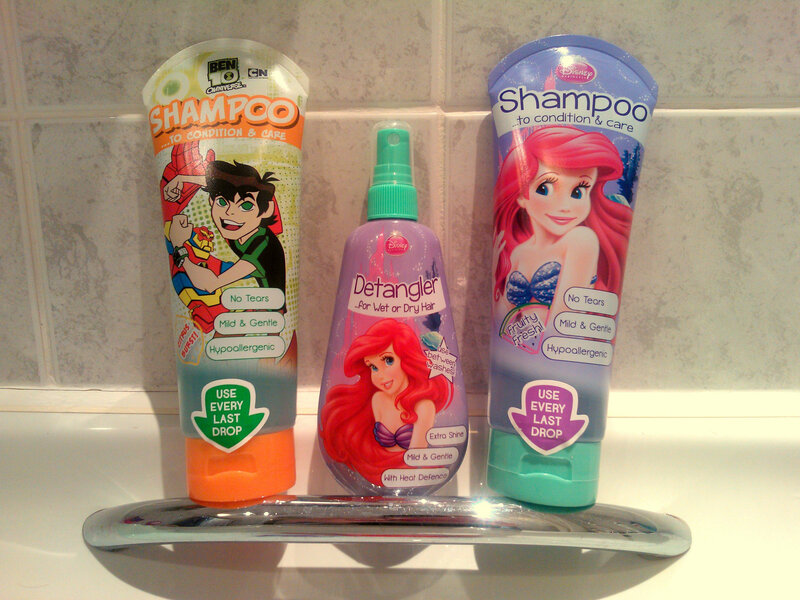 Other characters include a magical unicorn, mermaid and a fairy. 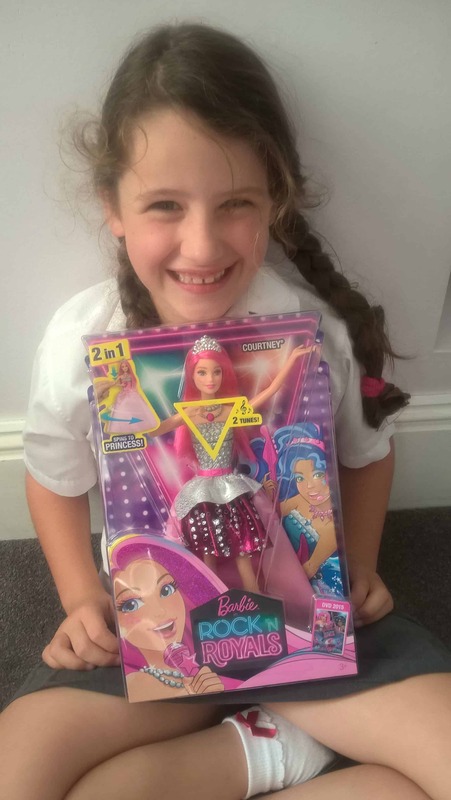 Miss M’s face lit up when she saw Princess Alexa, she thought the Barbie doll looked beautiful and when I told her about the new film, she can’t wait to go and see it. 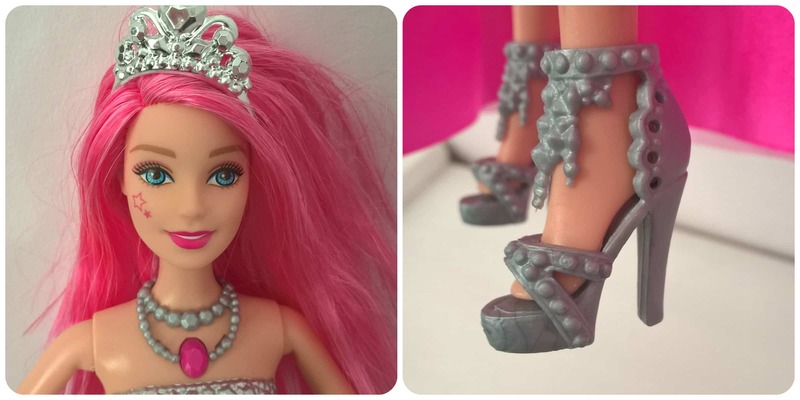 Princess Alexa is a standard size Barbie with the additional feature that she sings! The dress on her bodice is solid and this flashes coloured lights as she sings. Her skirt is satin like and can be removed. It has some large flexible flowers on it which really help it stand out and look pretty. 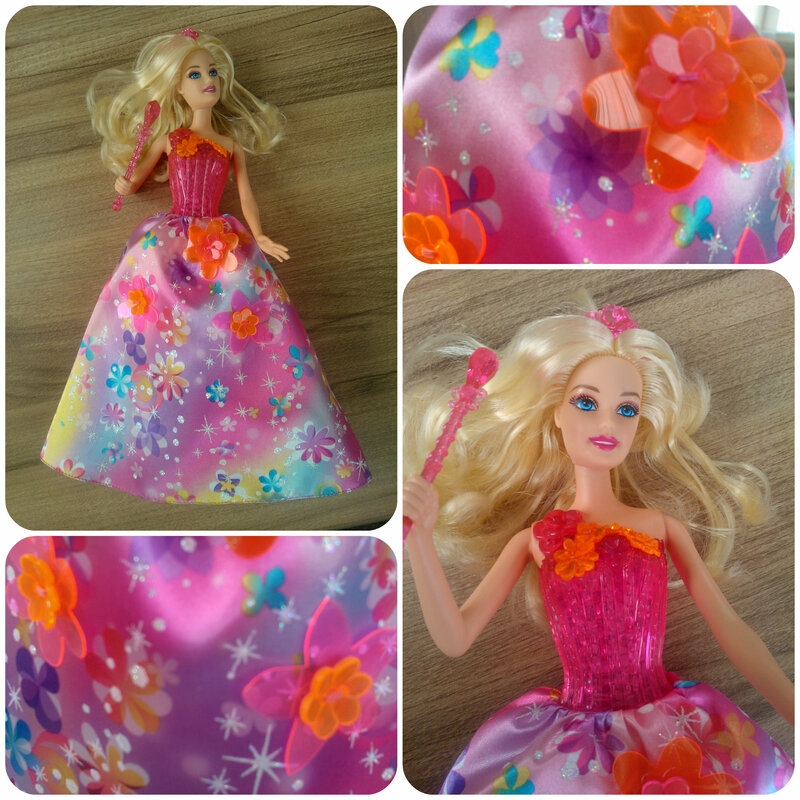 The highlight of this Barbie doll for Miss M is most definitely Princess Alexa’s songs. To play the songs you simply press gently down on her arm and a song plays. There are clips of two songs, both of which become quite addictive and we all know the words now after hearing them endlessly each day. Even Miss M’s little brother Mister B joins in, singing along. 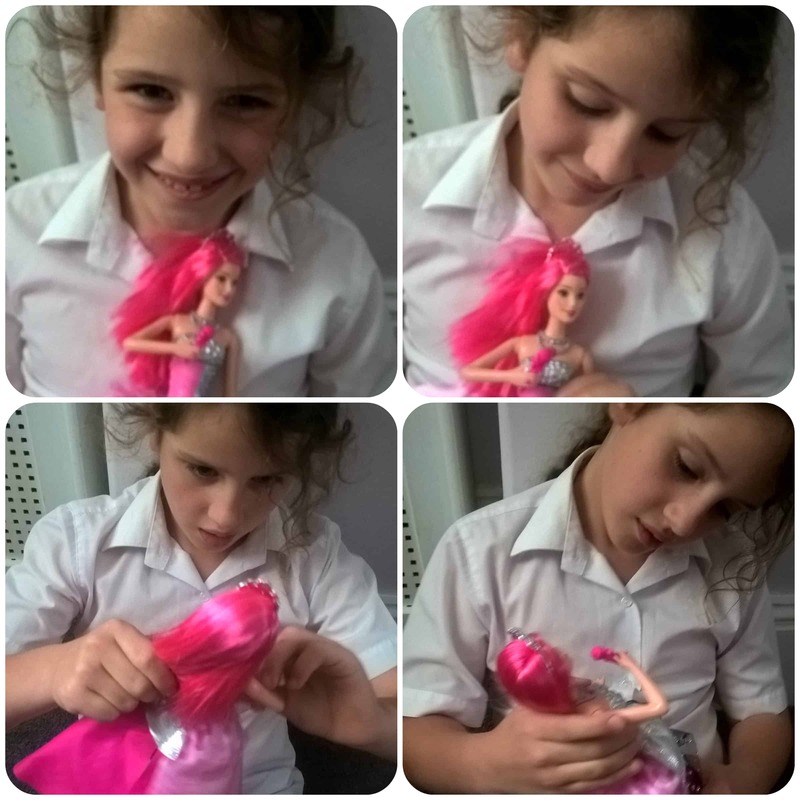 Miss M has loved playing with the Princess Alexa Barbie doll. She is a beautiful doll with great added features in the songs and lights. 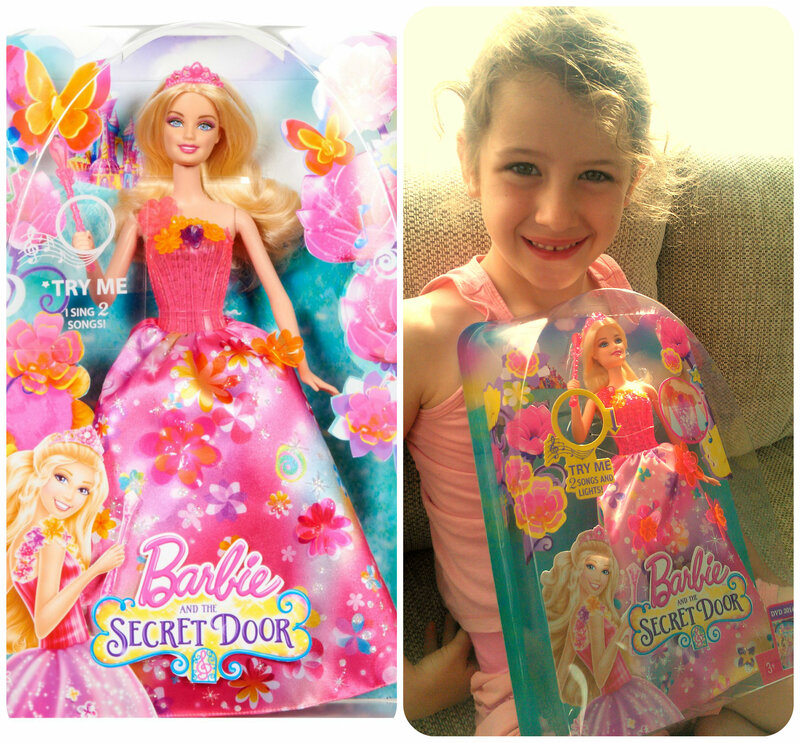 We are looking forward to the film Barbie and the Secret door which is released on DVD on 1st September 2014 and it’ll also be screened exclusively in Vue cinemas. All reviews are my own and my family’s opinions and the Barbie was sent to us in order to write the review. 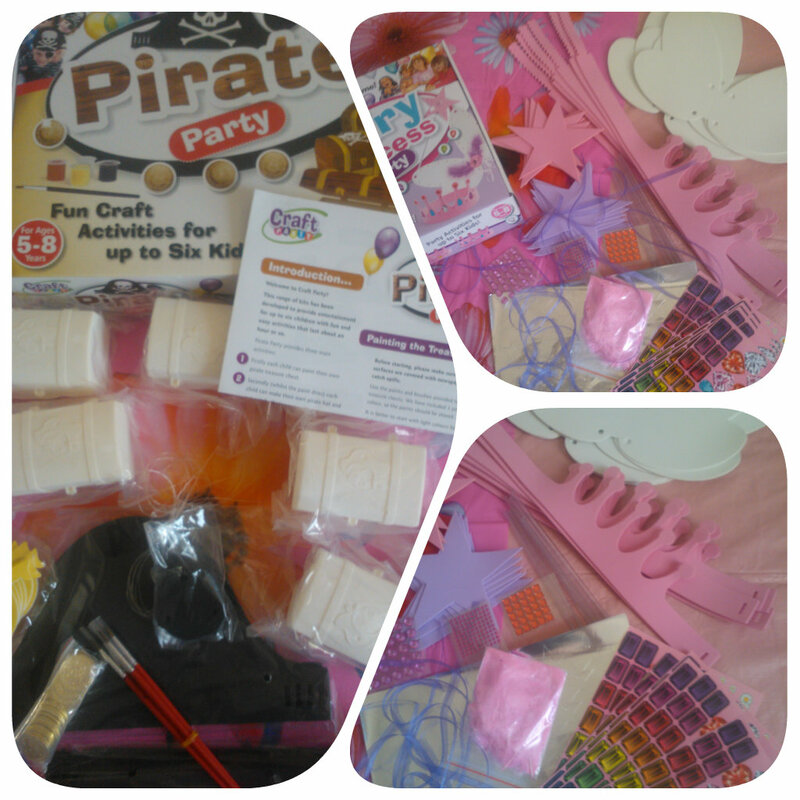 Yesterday we held a children’s craft party with some fabulous kits from Interplay. Miss M was very excited and invited five of her friends from school. 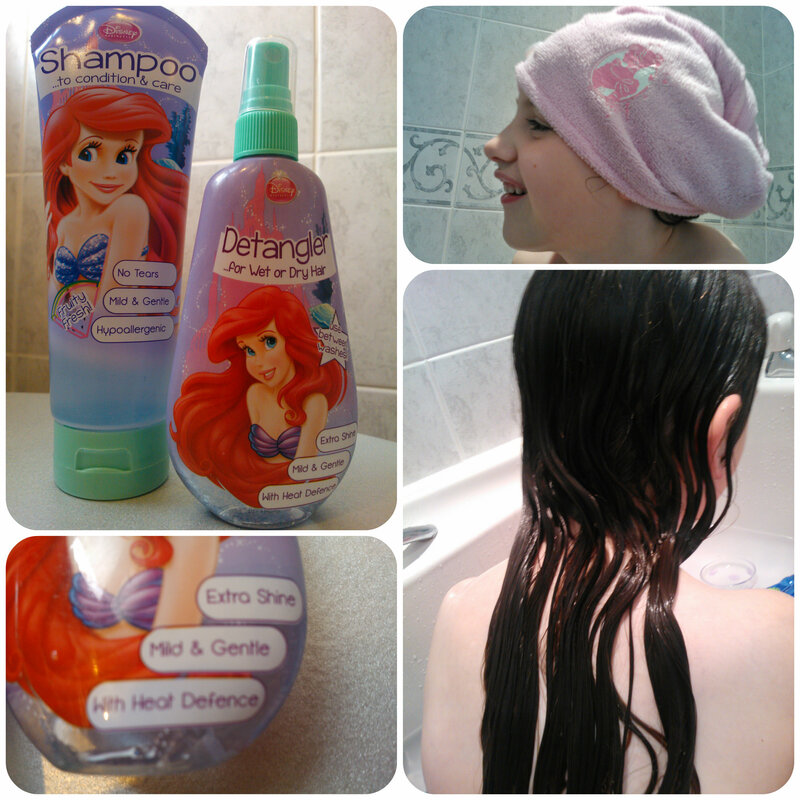 Of the four kits on offer we tried the Fairy Princess and Pirates boxes. 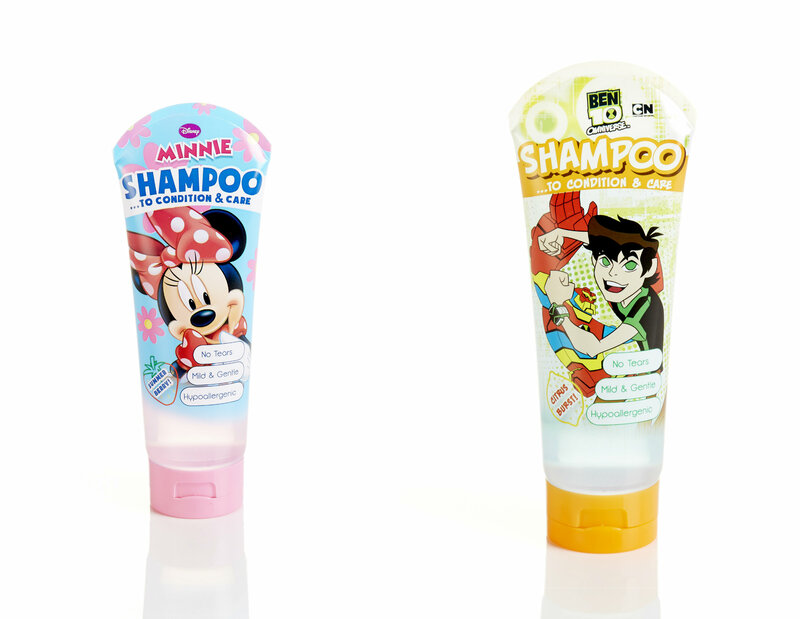 Each Kit contains enough contents for six children aimed at ages 5-8. 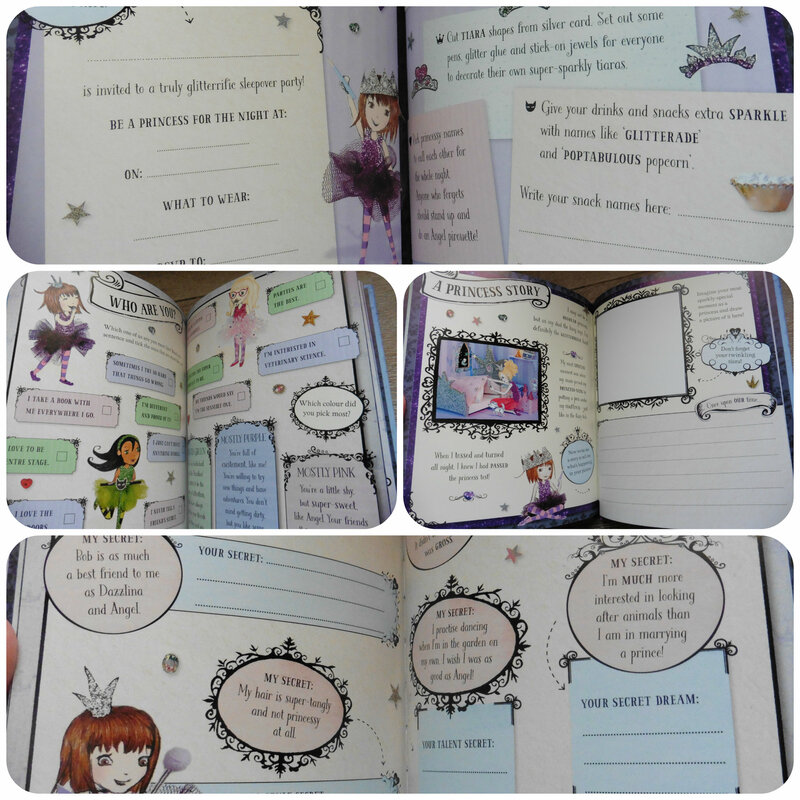 In the Fairy Princess box the children can each make a tiara, wand and wings and they each get a sticker sheet with more than enough stickers to decorate the items, as well packs of stick on jewels to share and a bag of fluffy pink feathers. 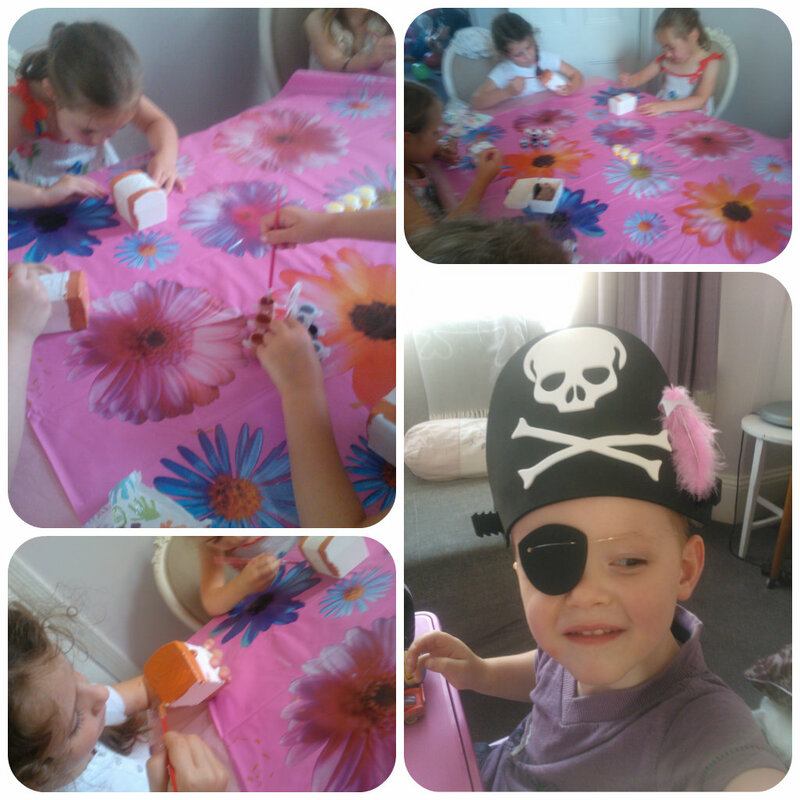 The Pirate box had contents to make pirate hats, eye patches and a plastic treasure chest to paint with gold coins to go inside which I thought was a lovely touch. 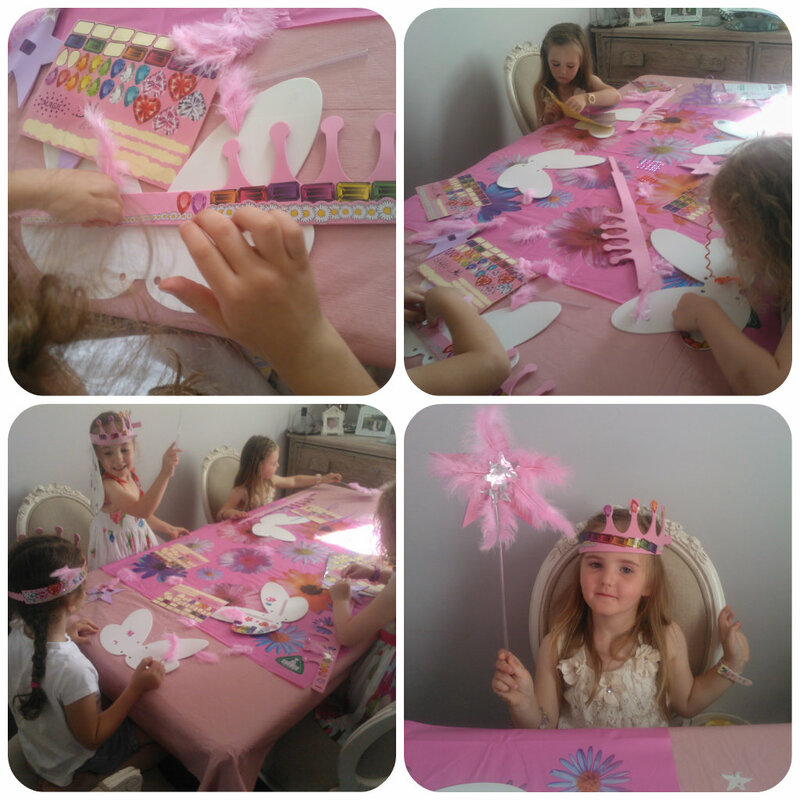 The girls started off decorating their Fairy Princess items. 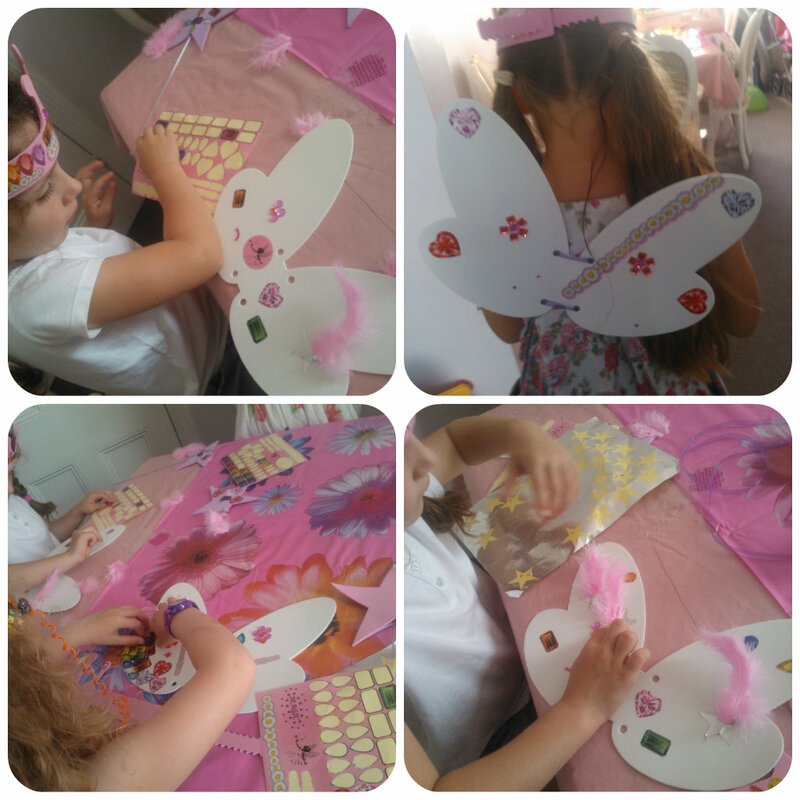 I was amazed at how quiet the room was as they all got stuck in sticking on jewels, feathers and other bits being quite creative in some cases. 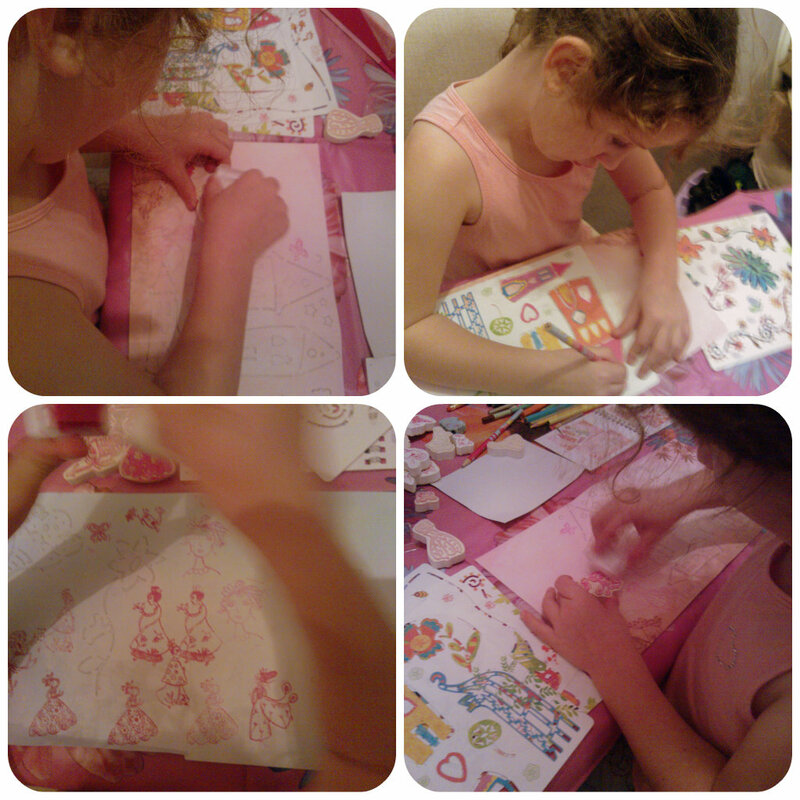 I was impressed with their designs and loved watching them totally engrossed in what they were doing. Once they had finished decorating their wings, I assisted them in threading the ribbon through so they could wear them. 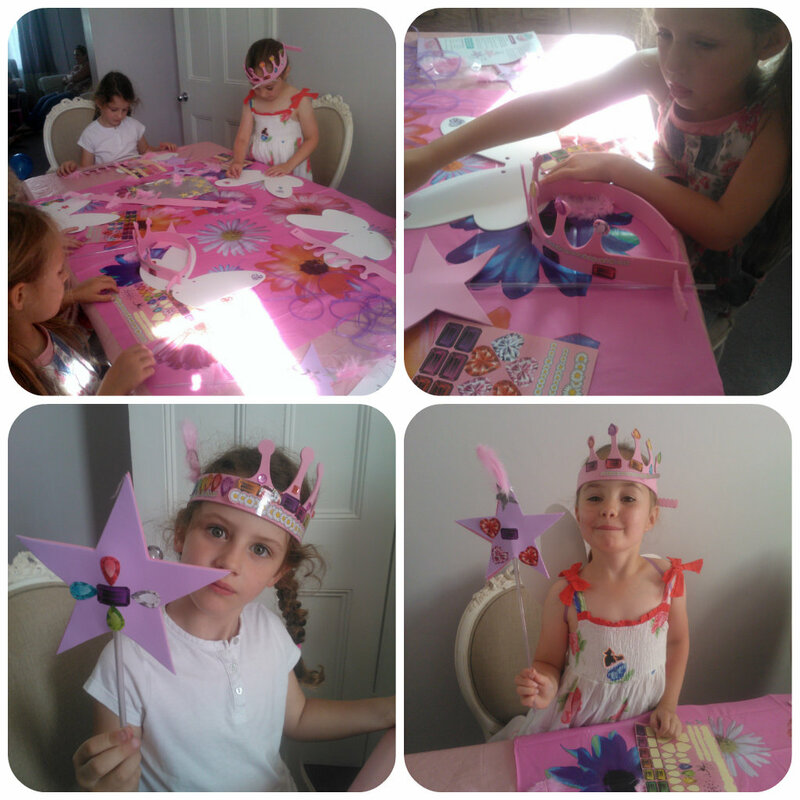 The princesses were so proud fo their new accessories, that they spent the next five minutes all dressed up running around the room shouting “I’m a fairy”, “I’m a princess” and even “I’m a queen”. It was so cute watching them all especially as they had made the items themselves. 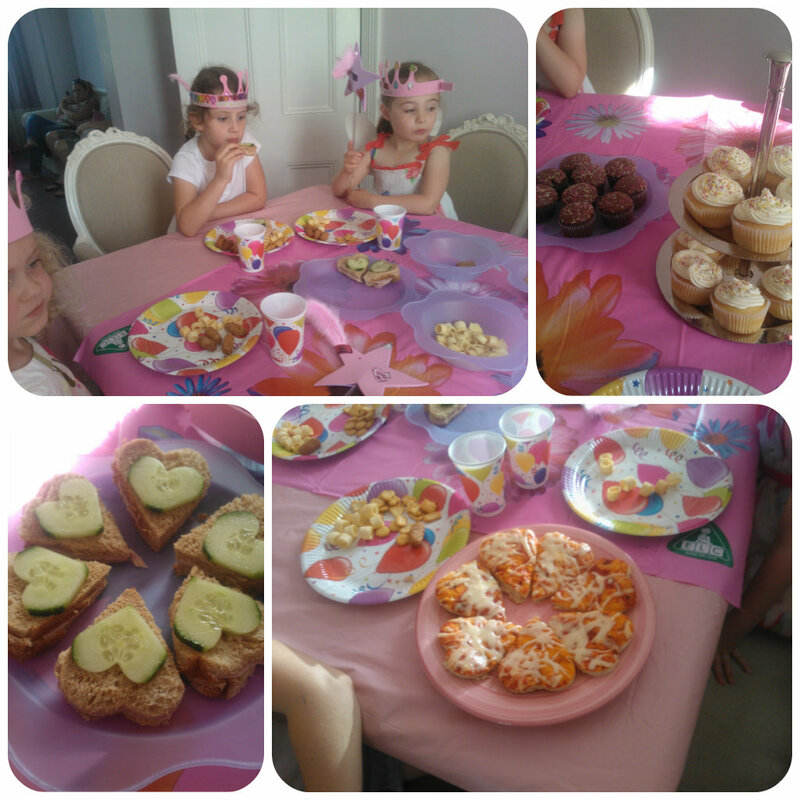 It was then time for some food, we had heart shaped pizza, heart shaped sandwiches, and jewel shaped cheesy snacks – perfect for my little princesses!! After some food it was time to become pirates, having had a pirate themed week at school a couple of weeks ago, they were very keen and knew all the phrases – “Shiver me timbers”, “Ooh arghh me hearties”. This activity involved painting which they all loved and once again got stuck in. 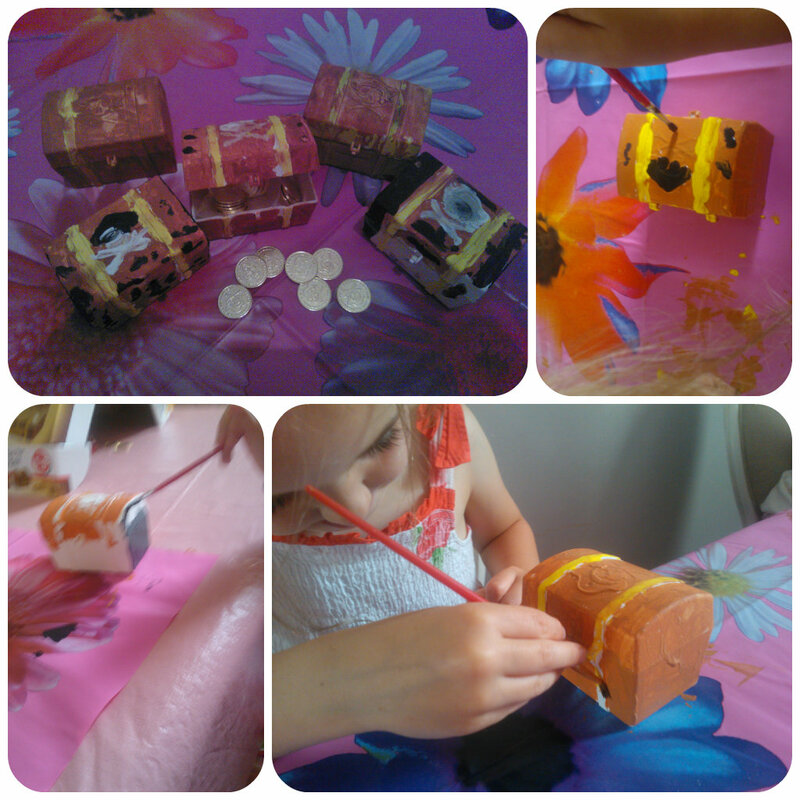 They had a little plastic treasure chests to paint and also included in the party box was a bag of gold coins to put in the boxes. There were also hats and eye patches to become a complete pirate. I was impressed with how carefully they all wanted to be in painting the boxes. I had to monitor this activity a little more closely to help pass the coloured paints around the table and mop up any mess as they went along so they didn’t lean over into it. They particularly loved trying to make their chests look old and even painted the insides too! Overall I have to say the Interplay craft party was a great success, the children loved making things and the parents thought it was a great concept. We had a few games at the end which we got from the list found within each party box. The ideas for the games are all theme based depending on the party but simple to play. 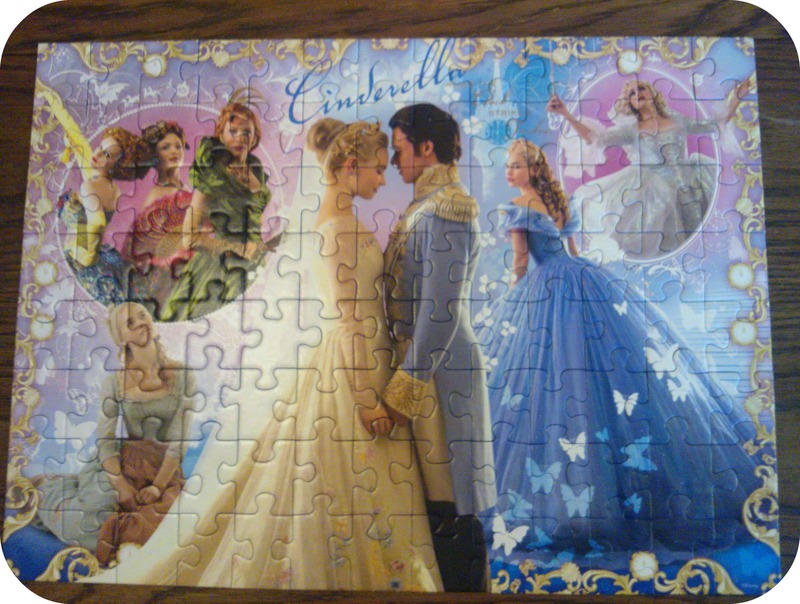 The Princess games include things like TinkerBell Says and Dancing Fairies, whereas the Pirates games include X Marks the Spot and Musical Pirate Ships. I think the key success of the party is whether the children enjoyed it. When I asked them what they liked best, they all shouted out everything they had made so it all was a hit with them. Secondly I think party success is the effort for parents. 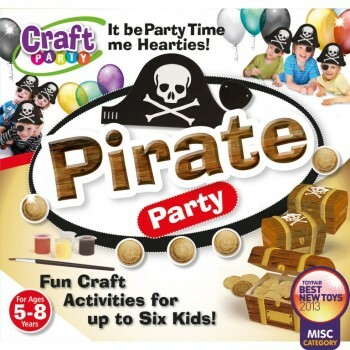 In this case I think the Interplay craft party boxes are great as they really do include everything you need to entertain the children, you just need to add food. I found everything easy to set up and games easy to play. 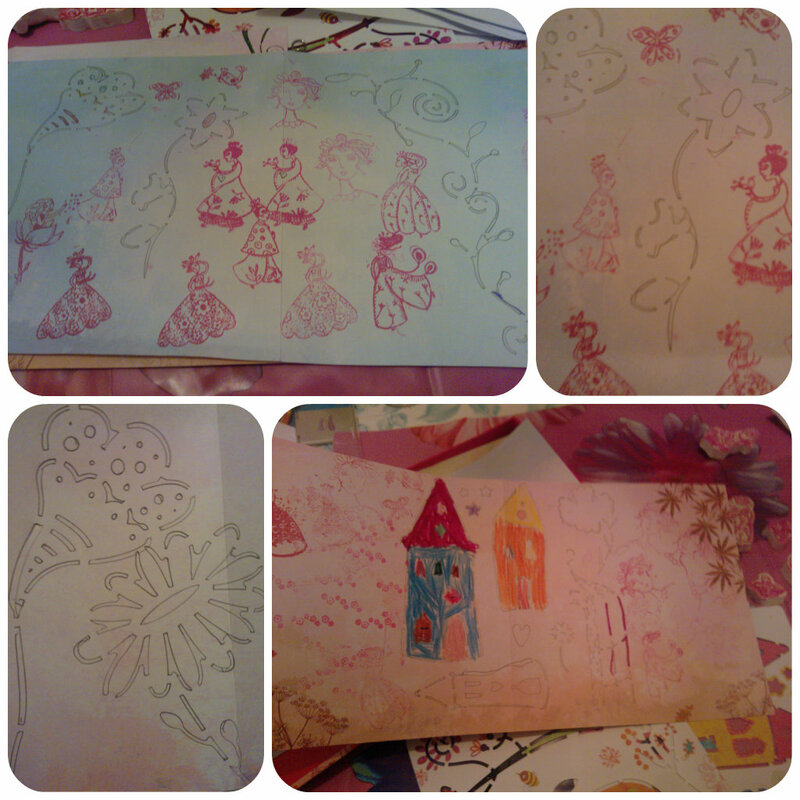 The only thing I wished is that I had been a bit more prepared for the painting activity, but I know for next time. 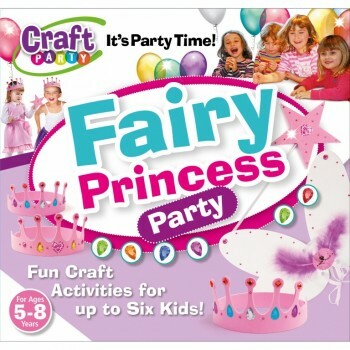 If you want to find out more about or purchase one of Interplay’s craft party sets, check out the Interplay website.